The exteriors of a house do make a good impression, but the impression must last inside the residence. A good set of interiors must all start with a concept, a theme, a palette with the help of amazing professionals. 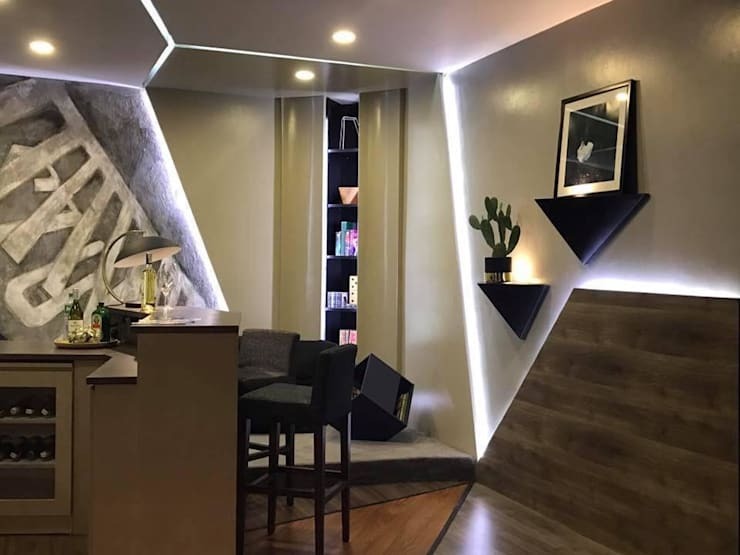 Today at Homify, we're featuring one of Quezon City's finest architectural and interior designing firms, ABG Architects and Builders. Specializing in architectural design built services, consultancy, general construction, and project management, the team definitely is the perfect professional to feature today! Moreover, the company highlights innovative and practical interior designs with a lot of character and style. Let's go check them out! First on our stylish list of interior design projects is this peaceful bedroom by ABG. Painted all in white, the bedroom shows a very clean and cool vibe that ultimately relaxes the mind, body, and soul of the homeowner. To add a little bit of colorful inspiration, a few touches of color here and there flourish throughout the room. Wooden details such as the flooring, window sidings, and a couple furniture pieces make the bedroom cozier and more grounded. The palette and theme are two of the most important factors to consider when designing a bedroom. The theme reflects on the homeowner's personality, so it's imperative to know the who you are working for. ABG Architects and Builders are experts on that matter. This lovely bedroom is obviously owned by a young teenager or a woman with a youthful personality. Drenched in lavender hues and white tones, this pretty bedroom is surely a room to remember. Ambient, task, and accent lighting are all important lighting components in any room. Pictured above, the room is abundant in lighting fixtures that are accessible and convenient for the homeowner. Plus, a window right beside the bed is an added asset for natural light! As mentioned above, themes are amazing ideas for a personalized bedroom. A themed bedroom gives character and personality to the room. 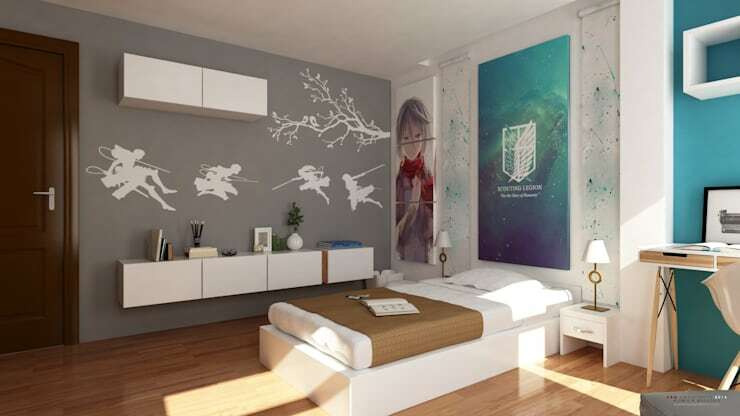 This specific example features anime wall stickers and paintings that show off the interests of the room dweller. The colors, room decor, and materials used also work in perfect harmony. Edgy and rustic in one room? Did we hear that right? ABG Architects and Builders's team is an expert on that fusion! 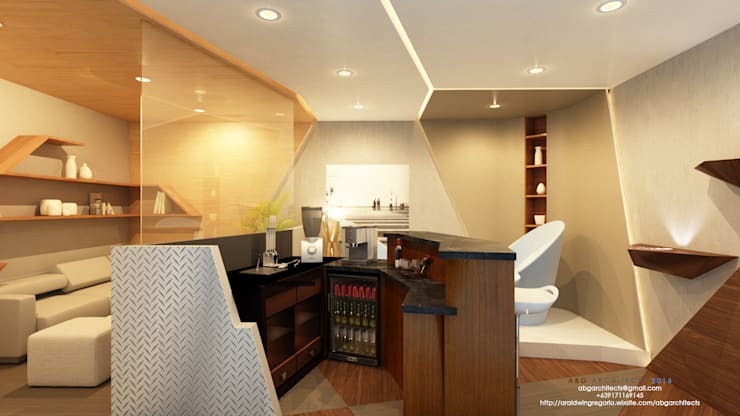 Just check out their project featuring this stunning bar and lounge area -- it offers the best of both worlds! The edgy and modern vibe shows through the clean lines and angles while the rustic charm boasts through the warm dark wood elements and colors. 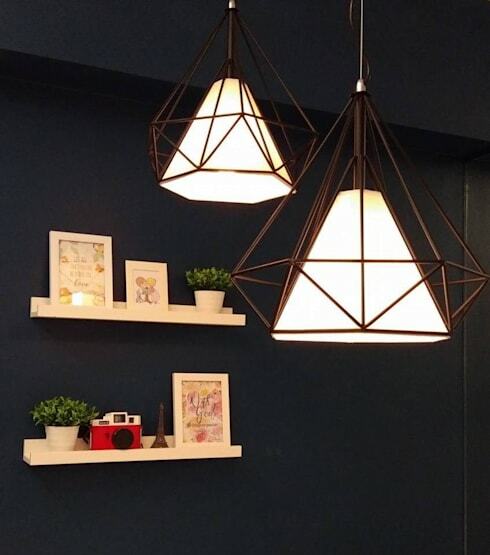 Accent lighting is the perfect way to highlight any spot in the to make it a potential focal point. As shown above, the hidden lighting fixtures create a dramatic aura to the room, making it a showstopper in the entire house. ABG Architects and Builders is also fond of boasting our country's indigenous works of art as house centerpieces. Pictured above, this bamboo design brings us back to our Filipino roots and shows our Filipino pride. It's best paired with standing potted plants, sitting on a bed of stones and pebbles. The list doesn't stop when it comes to ABG's projects on natural and indigenous materials. 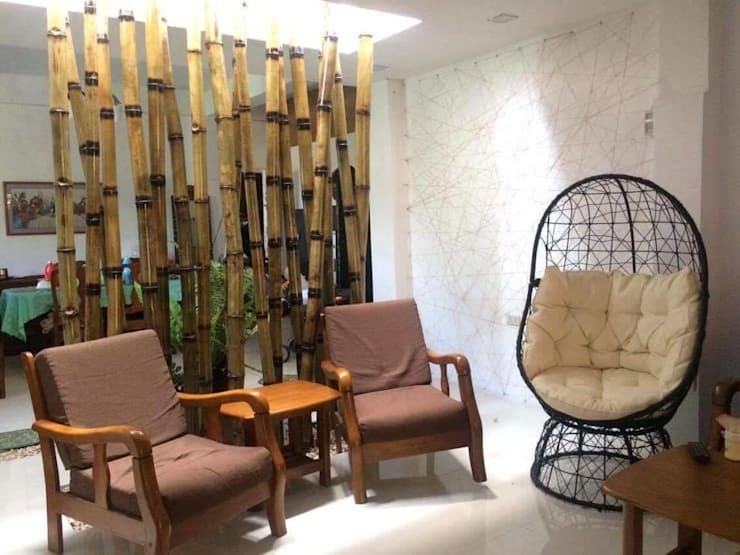 This relaxing area designed by the team features bamboo poles as a backdrop and a rattan lounging chair painted in bold black. Moreover, the accent chairs are also made of deep Mahogany wood. 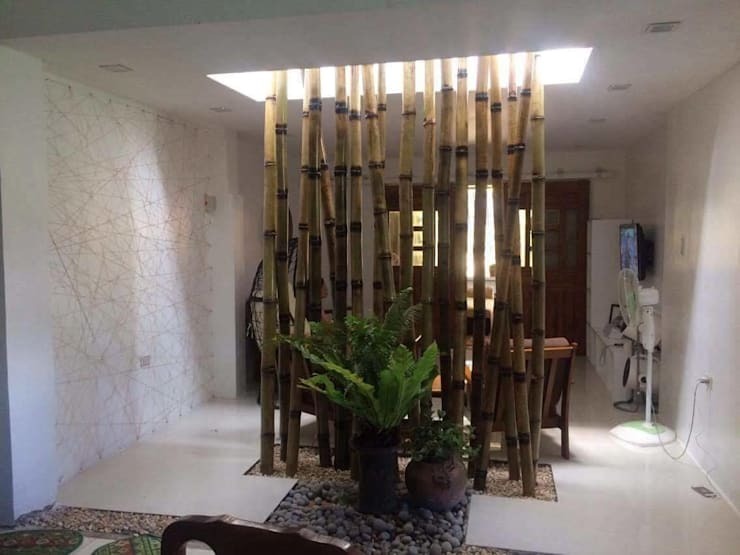 Check out these 6 popular indigenous materials used in the Filipino home. ABG Architects and Builders also serves commercial spaces that need a little life to their property. This specific project shows how bright colors should be done. 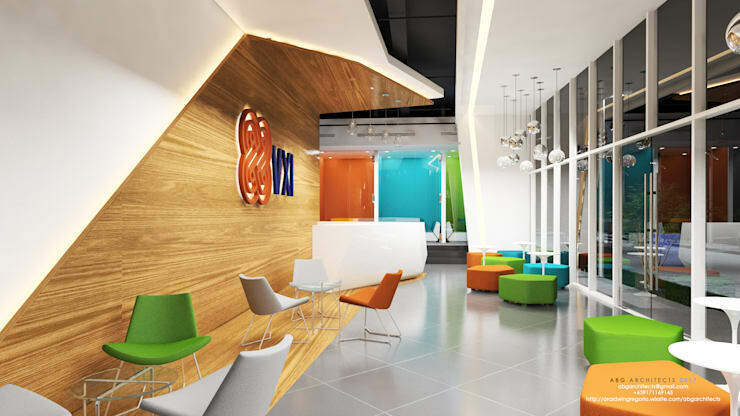 A lovely array of tangerine orange, apple green, and sky blue work in perfect unison in this lobby area. 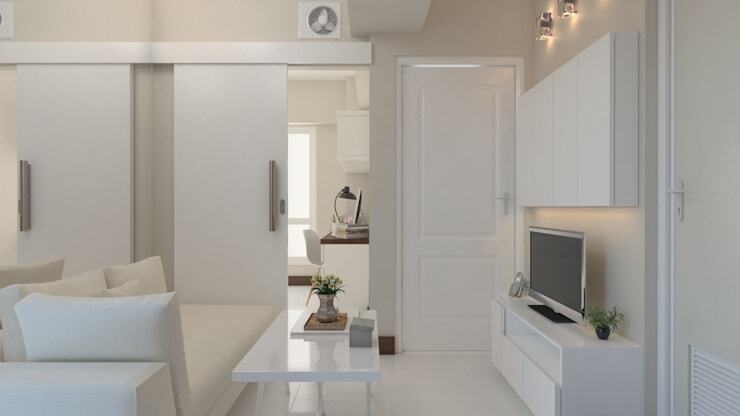 To balance out the vibrancy, a whole dash of white and wooden details match the colors. 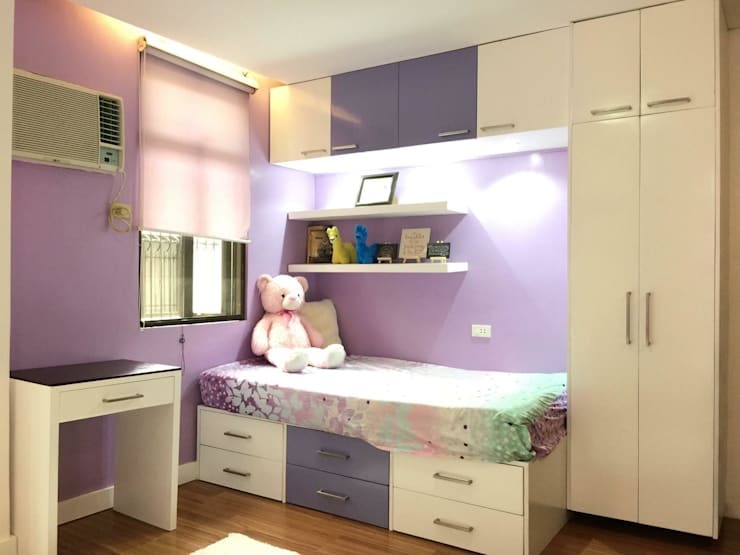 This amazing interior designing firm also specializes in creating innovative designs that fit just right in any household. 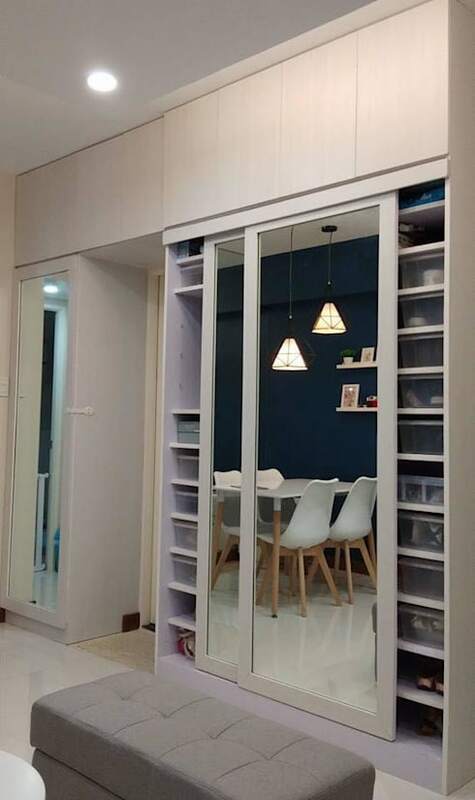 Pictured above, this hidden cabinet is built with a large sliding door/mirror! Aside from its smart dual use, the cabinet is also equipped with numerous shelves for storage. Here are 11 practical space-saving solutions for the modern home for more storage ideas! These days, families are more drawn to the modern and contemporary styles. That is why ABG features a lot of sleek and trendy interior designs to the public eye. Along with the ideal palette and design of spaces, modern decor and furniture pieces are shown throughout their projects. White still wins it all. 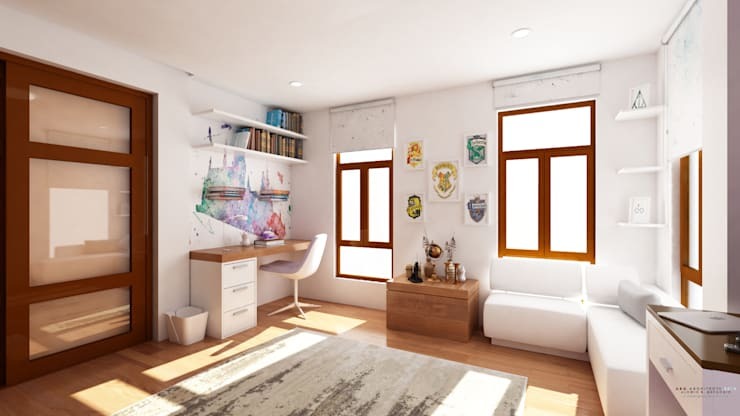 No matter how many styles, themes, and colorful palettes evolve in the interior designing world, an all-white set of interiors still captures a homeowner's heart. There's just a sense of purity and serenity with the all-white approach. Plus, it's very minimal and modern too!